This Week’s Marijuana News Round-Up: Nearly 1 in 10 Federal Prisoners is In for Marijuana; WA Recreational Marijuana Sales Pass $1 Billion; Study Finds Medical Marijuana Changing Prescription Practices; California’s MMRSA: Sensible Regulation or Special Interest Mayhem? ; Texas Deputies Who “Smelled marijuana” and Raped Woman Get Minor Charges; Sanjay Gupta Says America’s Cultural Biases Are Impeding Marijuana Research; and more. 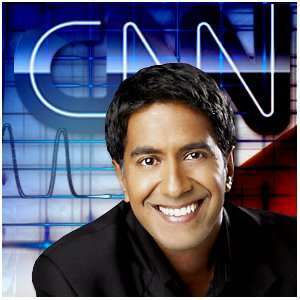 Sanjay Gupta Says America’s Cultural Biases Are Impeding Marijuana Research — CNN journalist and neurosurgeon Sanjay Gupta has become one of America’s foremost fact-based cannabis advocates thanks to his documentary series “WEED,” which features him traveling around the world to learn about the science and culture of marijuana. When he recently sat down with Pittsburgh’s ABC affiliate WTAE to discuss his work, Dr. Gupta criticized America’s attitude toward cannabis research, pointing out that we don’t appreciate the good work being done in other countries. Study Finds Medical Marijuana Changing Prescription Practices — The arrival of medical marijuana in Massachusetts and other states is changing the way doctors prescribe conventional medications, a study published Wednesday reports. The study, one of the first to investigate whether medical marijuana laws alter prescribing patterns, analyzed data from 17 states and Washington, D.C. It found that after medical marijuana laws were adopted, doctors wrote fewer prescriptions for Medicare patients diagnosed with anxiety, pain, nausea, depression, and other conditions thought to respond to marijuana treatment. Nearly 1 in 10 Federal Prisoners is In for Marijuana — Eight percent of defendants sentenced to federal prison in 2015 were convicted of violating marijuana laws, according to a June 2016 federal report issued by the United States Sentencing Commission. Medical Marijuana Qualifies for Arkansas Ballot — A citizen-driven initiative that would allow Arkansas doctors to recommend medical cannabis for sick and dying patients will be on the November ballot. Secretary of State Mark Martin on Thursday confirmed that Arkansans for Compassionate Care (ACC) collected 77,516 valid signatures — more than enough to place the Arkansas Medical Cannabis Act on the ballot. 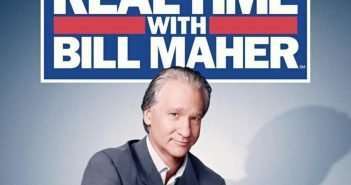 California’s MMRSA: Sensible Regulation or Special Interest Mayhem? — The Medical Marijuana Regulation Safety Act (MMRSA), passed in the waning days of the 2015 State Legislature, was California’s first-ever state wide regulation of the medical marijuana industry. It was long overdue, but although it has been hailed as bringing order out of chaos, many have objected to its burdensome and complex regulatory process. Texas Deputies Who “Smelled marijuana” and Raped Woman Get Minor Charges — Harris County Sheriff’s deputies involved in a roadside search after alleging they smelled marijuana violated a woman sexually but are only being charged with a much lesser crime. WA Recreational Marijuana Sales Pass $1 Billion — Well, Washington (and tourists and neighbors from border states), you’ve gone and consumed more than $1 billion worth of marijuana since the legal market began in July 2014. So far, the great destruction of our society has not occurred … or if it is ongoing, it’s slow and sneaky. What has happened, however, is that more than $250 million has been generated in excise tax to the state. 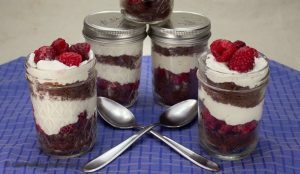 Marijuana Recipes: Chocolate Raspberry Trifles — These are so easy to make, but always get wows anytime you serve them! 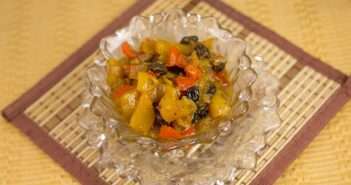 Not only are these delicious, you can make them ahead of time, and they are easy to store and transport as each one is made and served in it’s own individual jar.